Pieces by Polly: Happy Pi Day! So I'll post more details and the freezer paper stencils for the shirts...another day. 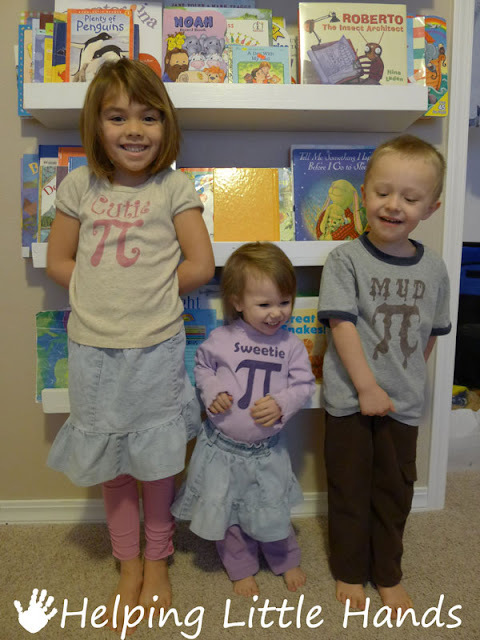 Did you celebrate Pi -Day? If so, I'd love for you to share your link or tell me about it in the comments! Come back in the morning for another awesome Read-Along post. Little Brother's shirt makes me laugh! Thanks for posting the pics even though you're tired. Adorable shirts! 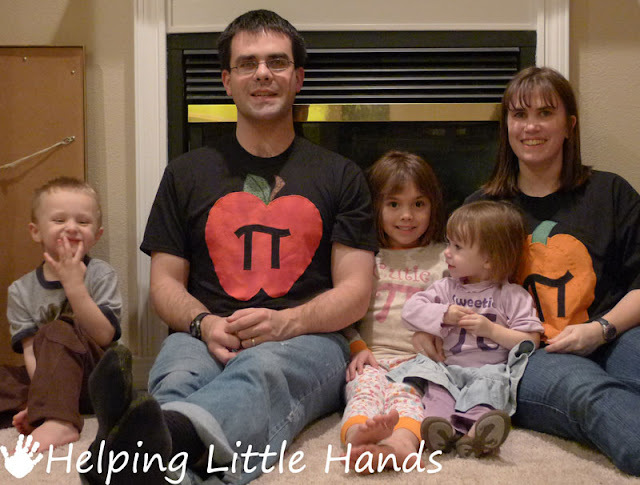 The kids' are cute, but I simply adore the ones with the apples! How cute are you guys?!?! Love the shirts Polly.